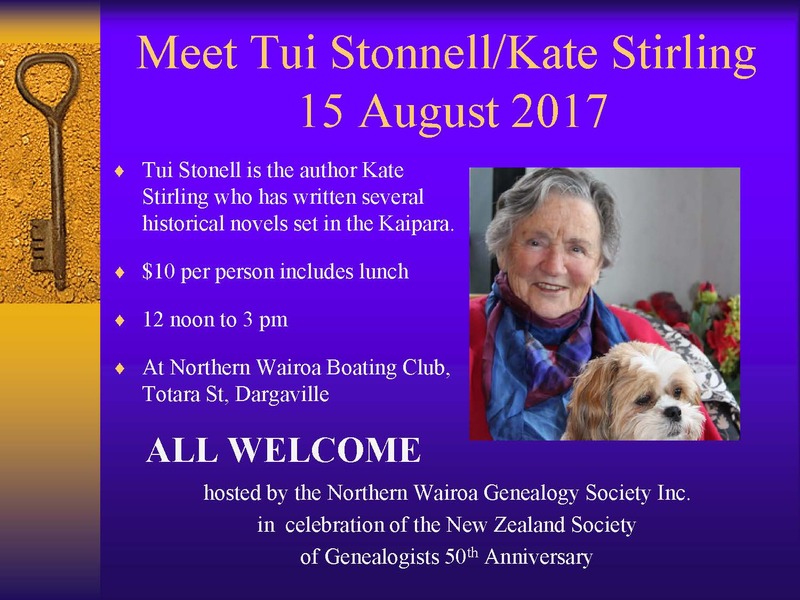 Our next meeting will be held on Saturday 19 August, from 11am in Maungatapere (refreshments available from 10.30am). Venue to be advised. Derin Attwood’s latest book, The Burl of Meglinor, the fifth in The Token Bearers series, has been published and received good reviews. Kathy Derrick has been awarded a Masters in Creative Writing from the University of Edinburgh. Trish Nicholson has returned from a successful book tour in the UK and Isle of Man, where the five venues were well attended and she enjoyed encouraging book sales. The full text of her talk and readings from ‘Story-power: Why We Need it to Survive’, is now posted on her blog, Words in the Treehouse. Karen Phillips has published a story in the new Cloud Ink anthology, Fresh Ink. The book launch is on Friday 18 August at 6.00pm at The Loft, Q Theatre, Queen Street, Auckland (next to the Town Hall). The Northland Branch 21st Anniversary will be held on Saturday, 2 December 2017 at The Orchard in Whangarei. We will let you know further details closer to the time. Please contact Di if you have any old photographs of branch activities to share. Poets at ONEONESIX will be held at 116 Bank Street, Whangarei, on Thursday, 17 August at 5pm. Gold coin door entry. Fast Fibres Poetry Four is the fourth volume of an annual anthology of poetry by Northland poets. This year over forty Northland poets with a diverse range of styles, experience and backgrounds are included. Fast Fibres Poetry Four will be launched in Whangarei on Thursday 17 August at ONEONESIX Bank Street, from 5–8pm. National Poetry Day 2017 will be held at Kings Theatre Creative, Kawakawa on Sunday 27 August and will include a launch of Fast Fibres Poetry Four and an open mic from 1.30 to 4pm. Entry $5. The 24th RWNZ Conference will be held in Rotorua from Friday 18th to Sunday 20th August 2017. We are delighted to be able to offer a special discounted rate for NZSA members. NZSA discount coupon codes were sent out in an email to members in June. If you did not receive them, please email northlandauthors[at]gmail[dot]com for a copy of the codes.